A photograph of the first page of names listed in the World War Two 'Roll of Honour' for Whitehaven, Cumberland. 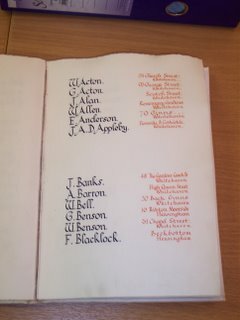 William H. Acton and his brother George Acton are the first two names listed in this 'Roll of Honour'. These two Able Seamen died on 2 November 1942 when their vessel, the SS Empire Leopard (London) was torpedoed in the North Atlantic. 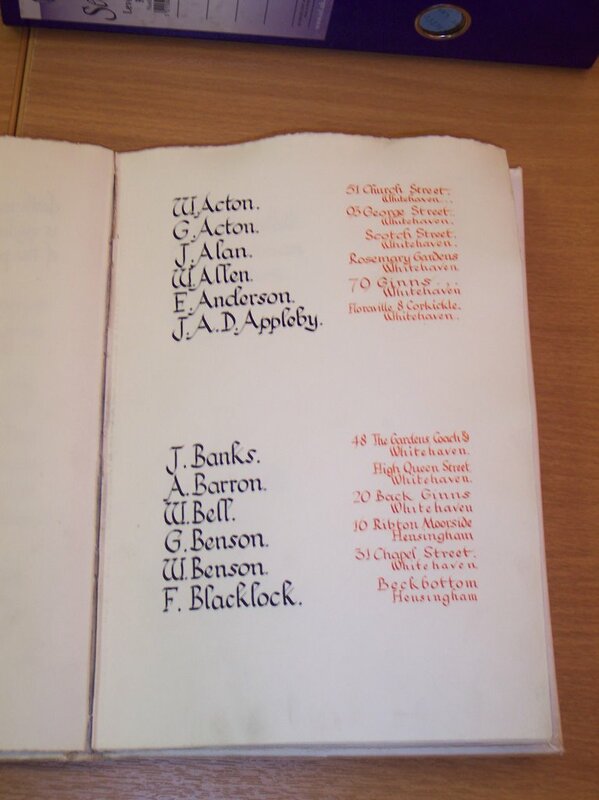 Until June 2006, the Commonwealth War Graves Commission records for William Acton did not list his hometown nor his next of kin although the CWGC record for George Acton was correct. After sending the CWGC the correct details for William Acton rhis hometown or family details. The Commission have now corrected William's record after being sent the documents they require as proof. Finally, after more than 60 years after the end of the war, William H. Acton's CWGC record has been put right. "Your remembrances of things past in Opicina and Monfalcone brought back many memories of my time there with the regiment coincident with yours. One of the most alarming incidents was when Field Marshal Montgomery gave a pep talk to the troops in the Fenice Theatre in Trieste asking them to sign on and was slow handclapped and then shouted down with cries of : Joe Stalin for King... Joe Stalin for King. He left shortly thereafter. Do you mention this anywhere in your submissions ?" Has anyone else heard about this incident? Today, the 17th of June 2006, was HM The Queen's 80th official birthday and as part of the the Trooping of the Colour ceremony there was a flypast over Buckingham Palace. Included in the flypast was a Lancaster bomber and the commentator told us that there were now only two of such planes that still flew. I was reminded that in September 1996 when I attended a 166 Sdrn Re-union in Hull to meet friends of my late brother Jack, all present were honoured by a fly-over of the Kirmington village by one of these very Lancasters and I captured the scene above. 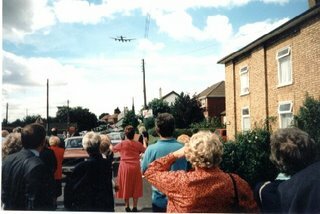 I was never an RAF man but in company with all of us who were there that day I felt this enormous emotion as the plane roared overhead. Half of all the planes of Bomber Command that flew from wartime Britain were never to return. My indefatigable website hunter, Ron Goldstein, has found a gem here. I have also added it to our list of links. Thanks Ron. 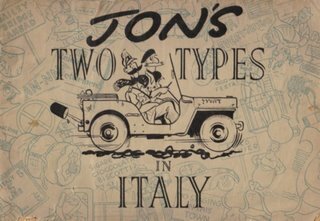 And here is Ron's favourite (see comments). Well, it will save you hunting around for it. Geoff Barkway DFM died on Thursday (8 June). He was the co-pilot in No 3 glider on Pegasus Bridge. Soon after landing, Geoff received a bullet wound to his right arm, which unfortunately meant it had to be amputated. 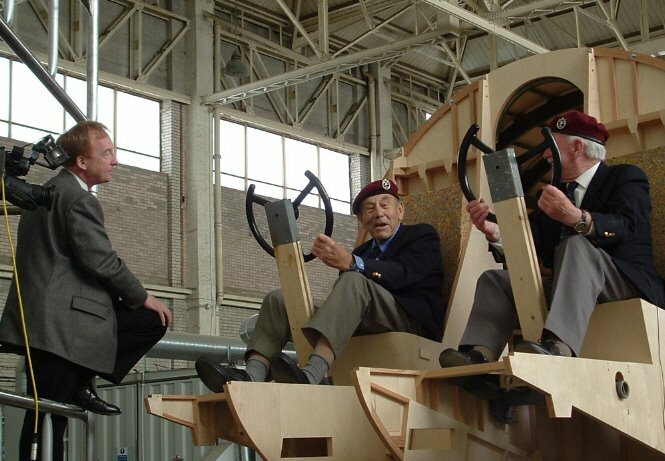 Geoff and his fellow pilot, Peter Boyle, came to Shawbury in May 2004. It was the first time they had seen our Horsa. 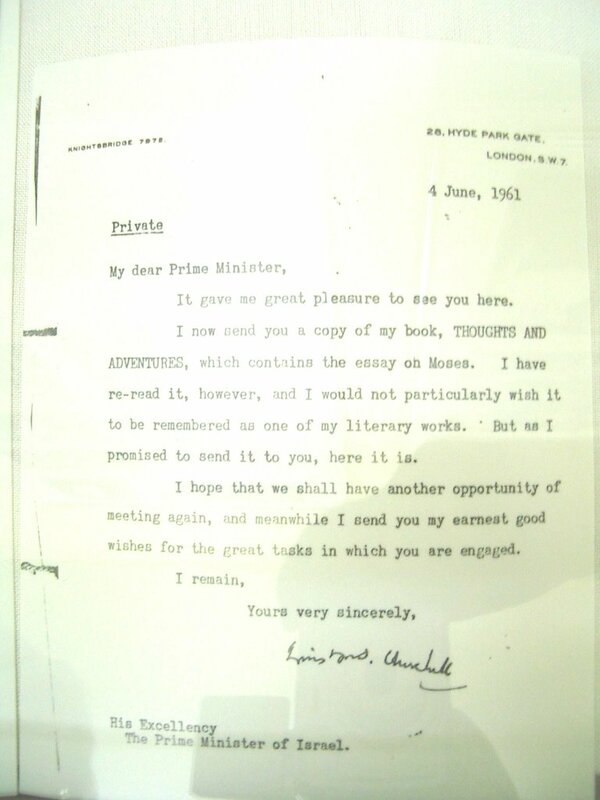 The visit had been arranged for them so that they could be interviewed by the BBC's Nick Witchell. I was fortunate to be there and it was great to hear these two men recounting their experiences. Geoff was a real character, and it was extremely difficult to suppress any laughter (the TV audience wasn't to know that there was an audience in the hangar!). Geoff and Peter were the last remaining crew from the six gliders which took part in the Coup de Main operation on the Caen Canal and Orne River bridges. Now, along with Peter, only one other CdM pilot remains, Jimmy Wallwork (No 1 Glider Pegasus Bridge). On my recent visit to Tel Aviv I paid my usual visit to Ben Gurion's Museum which was created from his original modest home and contains many artefacts, photos and letters that he received while he was in office as Prime Minister during the sixties. 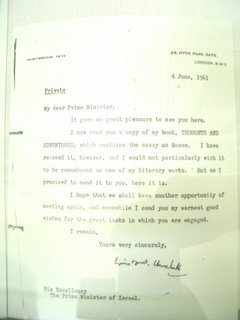 As you will probably know by now, I have always held Churchill in high esteem and I was therefore interested to see the above letter that he had sent to Ben Gurion. Despite the "NO PHOTOS" notice above the glass case in which it was displayed, the friendly curator of the museum gave me special permission to take the photo once I had explained my special interest. Those of our friends who reside in Canada might feel the view in the above photograph does not look like the Hudson Bay they are familiar with, and they would be right. 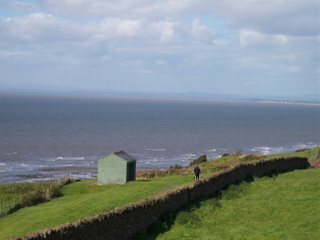 In fact, the view is of Solway Firth, an inlet of the Irish Sea, photographed from the former Naval Battery (now a Roman Museum) at Maryport, Cumbria. At the top of the photograph is the southern Scottish coast of Dumfriesshire. About 12 miles or so to the north of Maryport is the seaside holiday resort of Silloth. Just before World War Two Silloth was chosen, no doubt for its relative remoteness from continental Europe, as the site for one of the new Operational Training Units to train, maintain and fly aircraft in the event of war. As history tells us, the Second World War began in 1939 and so Silloth aerodrome welcomed firstly No 1 O.T.U. (until 1943) and then No 6 O.T.U. 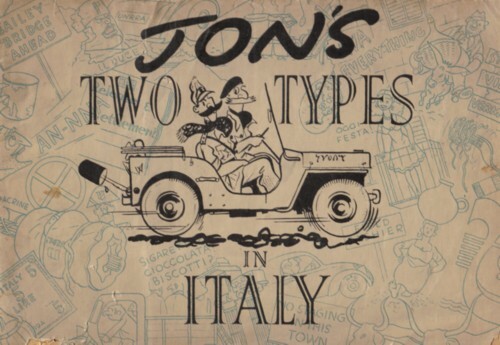 between 1943 and 1945. The supporting Maintenance Unit at Silloth aerodrome was No 22 M.U. I note with great sadness the passing of an old friend whom I met long after the war in Calgary where we often met and shared a few memories of Tank crew life. He was well decorated with the D.S.O. - M.C. and two bars ; Croix de Guerre and the American Legion of Honour. He was the unfortunate driver of an open staff car in the desert transporting the newly decorated with the V.C. Brig Jock Campbell, whose exploits at the Battle of Sidi Rezigh earned him the highest honour. 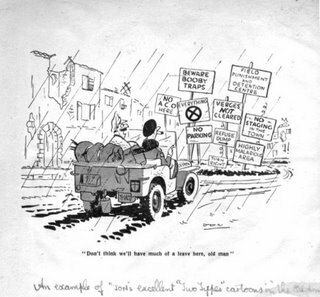 Roy Farran was many things in his career and as well as soldier he was also a Calgary City Councillor and finally a representative in the Alberta Provincial Government.